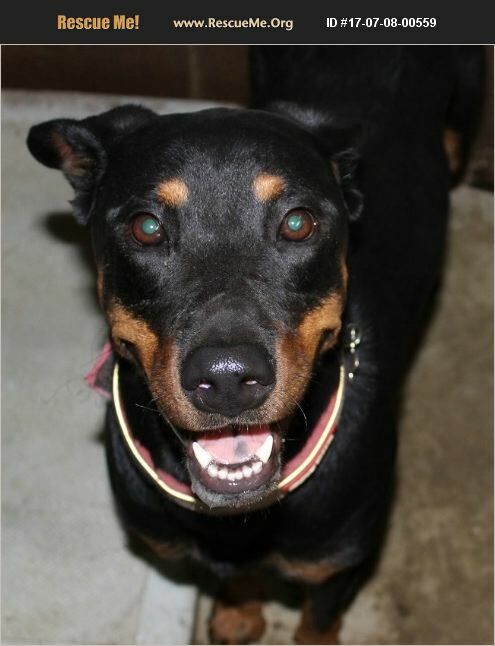 Iowa Doberman Pinscher Rescue View other Doberman Pinschers for adoption. This is Stella. She is an awesome dog. Good with other dogs, has been with small dogs, but if they run-she will chase them. No cats. She loves chasing squirrels. She can jump fences-so need a tall fence-very athletic. Good with kids over 8 yrs old, and is great to walk on a leash. Knows sit. She is housebroken and sleeps on a dog bed. She's great in the car. She is on grain free dog food. She is spayed, current on all shots, heartworm negative, current on preventatives and micro-chipped. She is on Proin (which will be sent home with her). After she was spayed, sometimes she would leak while sleeping-which can be common. The vet said it is a hormone imbalance. She has done great with it and right now she is getting it every other day. Could be ok with every third day. It is not an expensive drug. Her adoption fee is $175.00. Our adoption application is on our website at www.patriotsforpets.com and we recommend you fill that out if you are interested in a pet here at Patriots.